6. Simulate Correct Testing Conditions: To be prepared for exam day, you have to know exactly what you will be facing. The best way to do this is to take practice tests under the exact conditions that you will see on test day. This will allow you to see where you really need to improve. 7. Up Your Studying With an SAT Prep Course: To take their studying to the next level, some students take and SAT prep course. These courses structure themselves to help students increase their scores rapidly. Luckily for you, we have created a page reviewing the top SAT prep courses offered today. 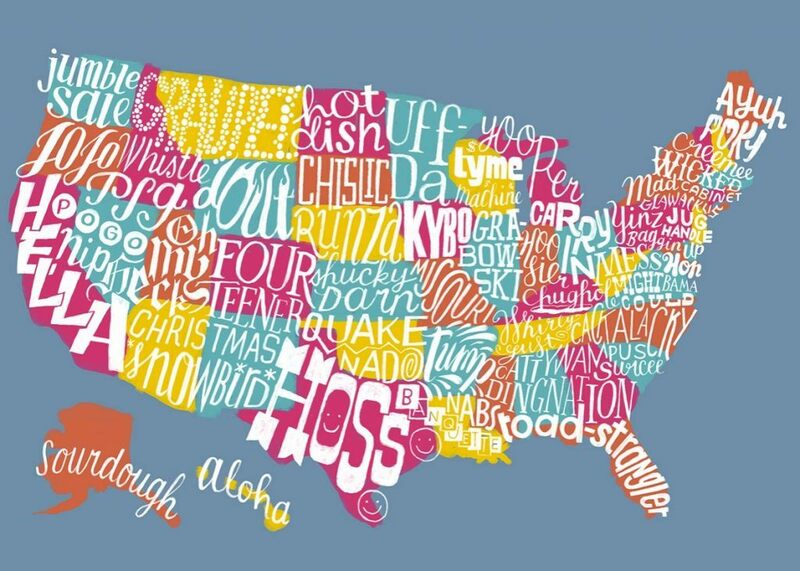 See our list of the best SAT prep courses. 8. Try out Different Strategies for the Math Section Now: The math section is notoriously the most difficult section for the majority of students. For many questions, there are multiple ways to solve each problem. Some solutions are geared toward certain types of thinkers. So find out which solutions are best for you. 9. Turn off Your Phone While Studying: Phones can sometimes be a distraction while studying. Turn them off. They also are not allowed during an actual exam. So why not try to simulate testing conditions early? 10. Make Sure to Go Over Your Mistakes: Learning from your mistakes is one of the best ways to learn. If you keep on making the same mistakes and never learn, your score will not increase. Spend that crucial time going over your mistakes to improve quickly. 11. Find and Start a Study Schedule: Having a study schedule is one of the best ways to stay on track. Many organizations suggest that you study for 20-100 hours for the SAT. Making a study schedule a few weeks before you take the exams allows you to space out your study times for the best effect. 12. Learn How to Use Your Calculator Effectively Now: Being able to use your calculator is crucial for the calculator section of the math section. Many calculators have advanced functions that make many questions on the exam rather trivial. Learn these advanced functions now to make your life a lot easier. Luckily for you, we have also outlined the best calculators for the SAT. See our list of the best calculators for the SAT. 13. Take the PSAT First: The PSAT is a great forerunner to the SAT. 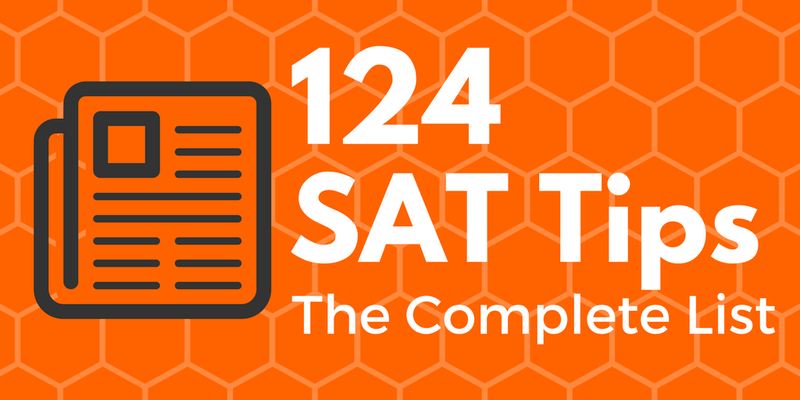 Many student will try to get a head start on the SAT by taking it before the PSAT. This can sometimes be a mistake. Since the 2 tests are very similar, the PSAT can almost be used as a practice test for the SAT to gauge your current skills. 14. Use Online Resources While Studying: There are many free resources online to help you prepare for the SAT. Use them! A lot of these resources are designed to help the average test taker improve their scores quickly and easily. For an easy way to access these resources, see our list of the best laptops for college. 15. Diagnose Your Skills and Weaknesses Early On: If you know what you are and are not good at, it is a lot easier to make a study plan. Diagnoses your strengths and weaknesses will allow you to tailor your studying time to your needs, not to the average student. 16. Try Teaching the Concepts to Someone Else: Studies have shown that teaching concepts to someone else is one of the best ways to learn. You can take turns teaching with another student. You can share your tricks and they can share theirs. 17. Work on Your Weaknesses Before Your Strengths: It is a lot easier to increase your score from a 50% to a 90% than it is increasing it from 90% to 100%. It will also increase your final score a lot more. Working on your weaknesses gives you the best bang for your studying buck. 18. Get a Test Prep Book to Improve Your Score Fast: A lot of students pick up a test prep book to help them along their studying journey. Review books layout all of the topics in an orderly fashion and allow you to focus your studying time. Luckily for you we have reviewed the top SAT prep books. See our list of the best SAT prep books. 19. Practice Doing Problems Without a Calculator: As you may know, the SAT features a no-calculator portion of their math section. Some students have relied a lot on their calculators the past few years and have lost their edge when doing math in their head. Make sure to practice your mental and long form math if this is the case. 20. Don’t Forget to Register by the Deadline: Sometimes life gets in the way of us remembering important things. Remember to register for the deadline! 21. (NEW!) Make Sure That Your Calculator Is Permitted: Not all calculators are permitted on the SAT exam. Make sure that you check online and make sure that your calculator is allowed. For note: most calculators without keyboards or cellular service are allowed. 22. Guess, Guess, Guess: There is no penalty for guessing on the SAT. To give yourself the best possibility for a high score, answer every question. Sometimes you have to make a guess with absolutely no clue. But it doesn’t matter because it can only help you, not hurt you. 23. Read the Questions Carefully: One of the easiest ways to miss a question on the exam is to misread the question. This can also cause you to become confused and waste time since you are looking for the wrong solution. Make sure to read the questions carefully, but not slowly. 24. Bubble the Answers at the End of the Section: It wastes a lot of time going back between the test booklet and answer sheet multiple times throughout the exam. Try to mark your answers quickly in the test booklet and then fill in the answers on your sheet at the end. This helps to save time. 25. Answer the Easy Questions First: Make sure to answer the questions that you know early. It gives you a good feeling to get the easy ones out of the way so you can focus on the hard problems. You also won’t leave any easy questions blank if you run out of time. 26. (NEW!) On Difficult Questions Eliminate Incorrect Answers: On difficult questions make sure to eliminate the answer choices that you know are incorrect. This allows you to focus on the remaining answer choices and not allowing yourself to be distracted. 27. Every Question is Worth the Same Amount: This is a tip that is easy to forget, but it helps to keep you grounded. Hard questions are worth the same on easy ones. Don’t make dumb mistakes on easy questions so that you get extra time on hard questions. 28. 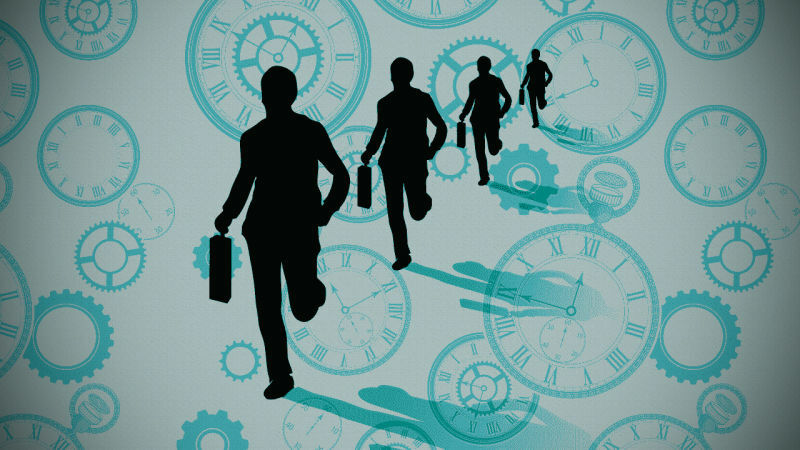 Pace yourself: Rushing through the exam is no way to get a good score. Going too slow isn’t a good way either. Make sure to pace yourself so that you do not wear yourself out or miss out on answering problems at the end of the time period. 29. Cover up the Answer Choices: One easy trick to use on the exam is to try to answer the problem without seeing the multiple choice options. Sometimes the answer choices sway us from our first instinct, which is usually right. 30. Use All of Your Extra Time Wisely: Sometimes it is easy to take a break if you get done with a section early. Make sure to double check your answer sheet and go over the hard problems again. Sometimes you can find mistakes which will increase your score. 31. Double Check Where You Bubble in Your Answers: One of the worst feelings you can have during the exam is when you miss-bubble one question and every answer afterwards is one off. Fixing a mistake like this can take a lot of time and can ruin your score. Make sure to always double check your answer sheet. 32. Don’t Spend Too Much Time on One Question: As stated above, every problem is worth the same amount. Spending too much time on one question leaves less time for every other question. Make sure to answer easy questions before hard ones. 33. 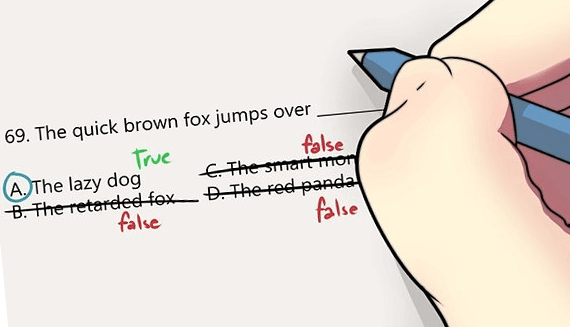 Avoid Stray Marks on the Answer Sheet: The answer sheets are graded by computers, not by human graders. These computers cannot tell the difference between a stray mark and a mark on the answer sheet. Because of this the computer could cause the stray mark to be counted as the wrong answer. Be careful. 34. Easy Problems Usually Precede Hard Ones: In many sections of the SAT, the questions ramp up in difficulty. This makes it a lot easier to do easy questions first, but sometimes easy questions can be tricky. Keep this order in mind while you are taking the exam. 35. Don’t Change an Answer Unless You Are Sure That You Are Wrong: It takes time to change an answer and find out and mark a new one. If you are not completely done with the exam, you may want to leave a question like this until the end. Make sure that you have time to answer every problem. 36. (NEW!) Set Goals for Time: If you have been practicing extensively, then you should know about how long it takes you to finish each section. Make goals for how many questions you need to have done with half of the time remaining so that you know if you need to slow down or hurry up. 37. Skip Any Questions That You Do Not Have Any Clue About: Wasting time early on questions that you have no clue how to do is a fatal mistake. Leave these questions for the end when you have gotten all of the easier questions done. 38. There Is Only One Correct Answer for Each Problem: You should be able to eliminate all of the other answer choices except for the correct one. If you cannot, you may want to mark that question and come back to it at the end if you have time. 39. Combine Commonalities in Answer Choices to Choose a Guess: This is a great trick to use if you have no clue on a multiple choice question. For example: if the possible answers are a. blue cat b. blue dog c. red cat d. green owl, then a. blue cat would be the best guess (blue is used twice and cat is used twice in the answers). The SAT writers try to trick you up by changing small parts of the wrong answers from the correct one. So take all of the parts of the answer choices and combine them to find the most common answer. 40. Underline Key Parts of the Question: Sometimes it can be easy to become distracted during the exam. Underline the key parts of a question so that you can stay focused. It is also a good tip in case you need to come back. You get your train of thought quicker if you underline and come back to the question. 41. Don’t Flip Back and Forth Too Often: Flipping back and forth through the test booklet, especially in the beginning stages of a section, can waste a lot of time. You should try to finish in order unless you have no clue how to do a question. Only permit to skip forward and backwards once you have done a run through of all questions. 42. You Can Write Inside of the Test Booklet: The test booklet is a nice place to write notes for questions. You do not need scratch paper to make notes. Making notes in the test booklet also allows to to catch up to where you left off if you had to skip ahead to another question. 43. Be Extra Careful When Filling in the Student-Produced Responses: Sometimes the student produced response questions can be tedious to fill out on your answer sheet. Make sure that you are filling these in correctly. It is very easy to be just 1 bubble off, making your whole answer incorrect. 44. Use the Line Reference Numbers: The line reference numbers come in handy when you need to look back and forth between the questions and the passages. Use it to keep your spot so that you are not wasting time looking all over for where you were reading before. 45. For Passages Pairs, Make Sure to Read the Introduction: The introduction for passage pairs sometimes gives crucial information about the passages and how they are connected. The introduction is very easy to skip. Don’t. 46. Don’t Spend All Your Time Taking Notes: It can be very easy to take lots of notes to make sure that you do not forget any of your thoughts. This can sometimes be time consuming and can end up costing you towards the end of the section. Only take crucial notes. 47. The First and Last Sentence of Each Paragraph Are Crucial: Paragraphs gives their main ideas in the first sentence and reiterate that idea in the last sentence. Make sure that while reading that you focus on these key details of each paragraph. 48. Read Actively: Try to think critically and be engaged while reading. Thinking this way makes the passages easier to remember and makes sure that you are using all of your brain power. Sometimes we can read a paragraph or two on autopilot and forget of the whole meaning of what we just read. Reading actively avoids this. 49. Don’t Waste Your Time Memorizing Specifics: Many times while reading on a test we can hone in on very specific details and forget the overall meaning. The SAT rarely asks about the specifics of a passages. You are usually tested on encompassing ideas or concepts about a paragraph. 50. Answer Questions on Familiar Topics Before Unfamiliar Topics: Make sure to answer questions that you are familiar with first. Sometimes we can forget things quickly, so answer what you know first and then go back to the passage to answer the ones you don’t know. 51. Base Answers Solely on What Is in the Passages: Remember, in the reading section you are being tested about that particular passage, not other details that you may know about the passage from past experiences. Answer the questions from facts from the passage, not outside of them. 52. Make Sure Not to Ignore Passage Introductions: Passage introductions sometimes give crucial details that explain the background of a passage. It can be sometimes easy to skip the introductions since they look like directions. Don’t. 53. Spend More Time on the Questions Rather Than Reading: The questions in the reading comprehension section of the SAT can be tricky. Make sure to thoroughly read the questions and then refer to the passages. Spending too much time just reading the passages without a question in mind can prove to be a fatal error. 54. Read the Questions Quickly Before Reading the Passages: Reading the questions before the passage allows you to see a preview of what you are being asked. If you get a feeling that a question is being answered while you are reading, make a mark in the margins so that you can find your spot when you are done reading. 55. Don’t Focus on Studying Vocabulary: Vocabulary is no longer a big emphasis on the exam since the SAT got its new format. Do not focus a lot of your studying time on vocab lists. 56. Use the Context of Nearby Words: Sometimes nearby words can help you to figure out the meaning to the word that you are being asked. Figure out the context and ask yourself how it pertains to the question. Use this information to come to the correct answer. 57. (NEW!) Change Double Negatives Into Positives: When you say a phrase like “that is not false” it really means “that is true”. This can sometimes be confusing so cross it out and make the phrase into a positive. 58. Try to Think of Words With Similar Prefixes, Roots or Suffixes: If you do not know a word, try to break it down into individual parts. Sometimes words that sound similar are similar in meaning. Use this to your advantage when trying to figure out the definitions of unknown words. 59. Do a Quick Review of Different Suffixes and Prefixes: Before the exam, do a quick review of common suffixes and prefixes. Prefixes like anti- and suffixes like -less can change the meanings of words dramatically. Make sure you know them for the exam. 60. Do Not Overlook the Reversing Effect of Negative Words and Prefixes: Like stated in the prior tip, negative suffixes and prefixes can vastly change the meanings of words in context. Do not overlook these tools while trying to find the definition of an unknown word. 61. If One Part of an Answer Does Not Make Sense, Eliminate That Choice: Sometimes the SAT will have answer choices with 2 parts. If one part does not make sense in context, then you can eliminate the whole answer from consideration. 62. Try to Complete the Question Without Looking at the Choices: A lot of the time the answer choices will try to trip you up. A nice trick to use is to answer the question without looking at the choices. This allows you to get a clear thought out before you are biased by the answer choices given. 63. Let Transition Words Lead You to the Correct Answer: Transition words like likewise, accordingly, and on the other hand can give context to the words preceding and after. Use these transition words to gather context on the surrounding words to make your answer choice. 64. (NEW!) Reread the Sentence Using Your Selected Answer: After you select an answer, insert it back into the sentence and reread it. Sometimes if an answer is not quite right the sentence will sound off. 65. Don’t Rush Your Answer Selection: In the SAT Reading section, a lot of the answer choices seem like they can be the correct one. Rarely is an answer choice completely off the mark. Make sure that you have specific facts from the passage that can back up your answer choice before making a selection. 66. Analyze, then Write: Sometimes it can be a mistake to try to write as fast as you can right away. Make sure to gather your thoughts and make an outline before you begin writing. An organized, well written essay is better than a longer, but less organized essay. 67. Keep Your Writing Simple: It can be easy to try and use big words to impress the graders. but trying too hard can lead into trouble. Try to write at the normal writing strength that you would normally write at. Try to get those extra points through better analysis and organization, not fancy big words. 68. Body Paragraphs Should Expand on Your Points With Specific Details: The body paragraphs are meant to get down to the nitty gritty on all of the points that you made in your introductory paragraph. Make sure to provide detailed analysis and facts in your body paragraphs. 69. Use Creative Sentence Transitions: One way to make sure your writing is really boring is to start every sentence with the same word or phrase. Make sure to use creative transitions to break up the monotony of your writing. 70. (NEW!) Do Not Skip Lines or Write in the Margins: Skipping lines can make you run out of paper quicker, which makes you waste time asking for more. Writing in the margins can be sloppy and does not give a good first impression for the graders. 71. Make Sure You Use Persuasive Language: The main thing that the graders will be looking at is your ability to analyze and provide facts in your essay. You should provide persuasive language to draw the grader into your mindset and swing them to your side of the analysis. 72. The Introductory Paragraph Should State the Position You Are Taking: The introductory paragraph is meant to state the points that you are taking in regards to the topic at hand. The body paragraphs are meant for the more detailed analysis. 73. Avoid Using Slang: Sometimes it can be easy to write how you talk. Doing this can sometimes lead to slang words getting into your essay. Make sure to be conscious of writing how you talk and to avoid any slang words that may fall onto the page. 74. The Concluding Paragraph Should Summarize Your Point: The concluding paragraph is meant to be a re-emphasis of the points made in your introductory paragraph, sometimes restating some points made in the body paragraphs. Try to avoid new ideas in the concluding paragraph. 75. Write a Longer Essay: Studies have shown that writing a longer SAT esaay corresponds to a higher score. Don’t reduce the quality of your essay to write for a longer period of time. But do try to keep on writing for the whole time period. 76. Use Specific Evidence From the Passages: One of the best ways to find good facts and statements to back them up are right from the passages. The graders are also familiar with all of these line in the passages and are expecting you to use them. Show them that you read the passages thoroughly. 77. 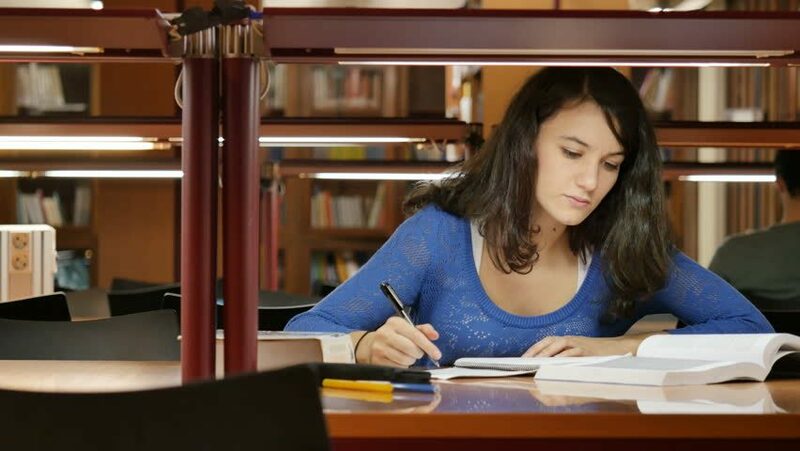 Keep Essay Structure in Mind: Your essay should have an introductory paragraph, multiple body paragraphs going over each of your positions that you are taking, and a concluding paragraph to tie everything together. 78. Don’t Mention Your Opinion: Your opinion in an analytical essay does not mean much. The essay graders want statements backed up by facts. Make sure to give concrete examples from the passages on why your positions are correct. 79. Only Use Information From the Passage: Essay graders may not know all of the background information and stats pertaining to topics. They are not very likely to look up your alternate facts not stated in the passages so they are not likely to affect your score. 80. Leave Some Time at the End to Edit: You tend to make a lot of mistakes when you are trying to rush the essay. Try to leave some time at the end to give your essay a quick run through to rid it of all of the errors. 81. Avoid Wordiness: When writing an essay on the SAT it can be easy to try to lengthen it with wordiness. Wordiness may make a longer essay, but it often leads to a convoluted mess. Make sure to write your essay in a concise manner. Lengthen it with more detail and supporting facts. 82. Simplify Complicated Sentences: It is easy to forget one of the ways to improve a sentence is to make is more concise and clearer. If you cannot find anything obviously wrong with a sentence, this can often be the correct path to go down. 83. Get Rid of Duplicate Answers: In the writing section especially, a lot of the answers are very similar to each other. If 2 answers are uncannily similar, eliminate them both and choose your answer choice from those remaining. 84. Choose the Most Concise Answer: One of the best ways to make a sentence better is to make it clearer and more concise. Wordiness can sometimes get in the way of the true meaning of the sentence. Cut out all of the filler. 85. Be Careful With No Change Answers: It can be easy to put down a “no change” answer a lot if you have no clue on a question. Remember that no change answers account for less than 20% of all answers. If you are marking “no change” more often than that, you may want to switch up some of your answers. 86. Answer Problems as You Read: Read through the passages and try to figure out what is wrong with them before looking at the answer choices. This can help you to read more actively and can also help you to possibly save time on the exam. 87. Quickly Review Punctuation: Uses for certain rare punctuation, like semicolons and colons, are a good idea for a quick review topic before the exam. The SAT loves to use these types of punctuation in questions so make sure that you know how they should be used. 88. Remember Run-On Sentences: It can be easy to forget that run on sentences are a common problem on the SAT. If a sentence goes on for too long, the only thing wrong with it may be that it is a run on sentence. 89. Learn in Advance Everything Needed for the Common Questions: It is very hard to wing it for math questions since you need so much knowledge on how to solve them. Make sure that you are up to snuff with common questions types that can be asked on the SAT. 90. Realize When You Are Making a Question Complicated: Sometimes you may think that you have a question figured out, but in reality you are going in the wrong direction. 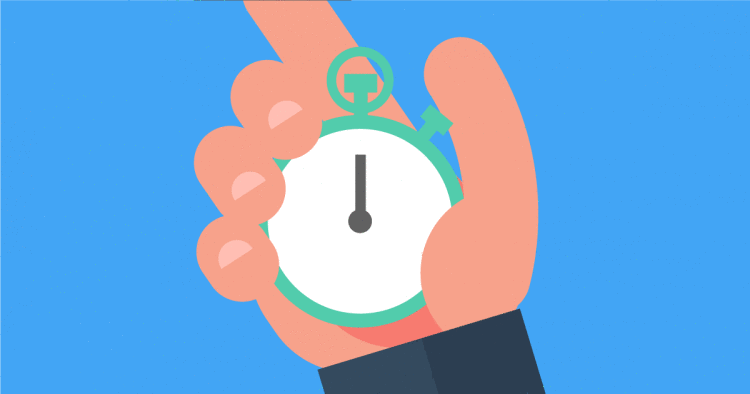 If you are taking too long on one question, skip ahead to the next one so that you are not wasting time. 91. Know the Order of Difficulty in the Math Section: The math section normally goes from the easiest questions to the hardest ones. Make sure to get the easy easy questions done first since easy and hard questions are worth the same amount. It would be a bummer to leave some easy questions blank because you wasted all of your time on hard ones. 92. (NEW!) Make Sure That Your Answer is Reasonable: Double check and make sure that your answer seems at least close in context. If you are being asked to add in 1000s and come up with a single digit number, something may be off. 93. Substitute the Answer Choices Into the Question: A good trick to use in the math section is to substitute the answer choices into the question to see if they make sense. This is especially useful when substituting numbers in for algebra problems. 94. Start off Doing the Easy Free Response First: You cannot guess the free response questions, so make sure to do those first. However, do not do all of the free response first, since they are usually tougher than the multiple choice. Once you start slowing down due to the difficulty, start skipping to the easier multiple choice. 95. Don’t Ignore the Diagrams: It can be very easy to ignore the diagrams and go straight to the question at hand. But, make sure that you get all of the useful information from the diagrams first. Sometimes the diagram can help your thought process in visualizing the problem, making it easier. 96. Use the Test Booklet for Scratch Work: You can write inside of the test booklet. Make sure that you use it to do any scratch work. It can be easy to use scratch paper, but if you come back to a problem that you were working on it can be easy for that work to get lost if it is not next to the question in the answer book. 97. (NEW!) Draw Pictures: Drawing pictures for math questions really helps you to visualize the question, which can be the difference between a right or wrong answer. 98. Don’t Depend on Your Calculator: Depending too much on your calculator can cost you a bunch of time on the exam. Some questions are pretty simple without a calculator and can slow you down. Make sure that you long form and mental math is up to snuff to save time. 99. Read the Questions Carefully: In the math section especially, the test writers will try to trick you into answering a different question that what is being asked. Make sure that you fully understand the question before you dive head first into solving it. 100. Work With the Smallest Numbers Possible: It is a lot easier to multiply small numbers than big ones. For example, if you need to multiply 1200×900, break it down into 12×9 and add back the zeros. This mental trick makes multiplying large numbers a lot easier. 101. (NEW!) Review SOH CAH TOA: There is a lot of trigonometry on the new SAT. Make sure that you review SOH CAH TOA if you have not used it in a while. 102. Substitute Numbers in for Variables: In algebra especially, it is very useful to use the plug and check method to solve the problem. This comes in hand if you do not know how to solve a problem, but can plug the solutions with the variables into your calculator. 103. Get All of Your Things Together the Night Before: Make sure that the least number of things possible can go wrong on exam day. It is easy to misplace something the morning of the exam and run out of time looking for it because you need to make the scheduled time. Solve this by packing your things the night before. 104. Make a Plan to Get to the Testing Site: Sometimes testing sites can be in unfamiliar areas or locations. Make sure that you know where you are going and where the testing location is. An excuse won’t get you in the door once they close them. 105. Make Sure Your Calculator Has Fresh Batteries: One of the most frustrating things that can happen on exam day is running out of juice for your calculator. Make sure that you have fresh batteries or that your calculator is charged up for exam day. 106. (NEW!) Manage Anxiety: Take a deep breath and keep yourself focused on the exam. Nothing is worse than getting nerves while taking the exam. 107. Remember Your Body Language and Posture: Posture and body language has a large effect on your mood and self confidence going into the exam. Sitting up straight can help you be more alert and awake for the test. 108. Go to the Bathroom Beforehand: Having to go to the bathroom in between breaks can be very distracting. Having that discomfort can make your mind wonder off and make you lose focus on the exam. Make sure to go even when you only kind of have to. 109. Do Not Bring Your Cell Phone: Cell phones are not allowed to sound in the exam room so just make sure to leave them at home. A parent or friend can meet you at the testing location at the scheduled end date. A phone is not worth being kicked out of the exam room. 110. 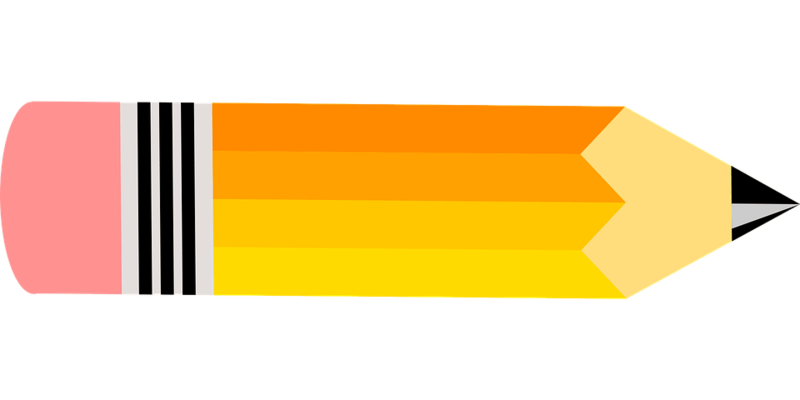 Bring More Than One Pencil: Sometimes your first pencil can break and there are no extras or a sharpener nearby. Make sure to bring extras so that you do not lose any time on the exam due to pencil issues. 111. Remember a Fresh Eraser: Sometimes pencils can come with really bad erasers. These erasers don’t really erase and just make smudges, making the problem worse. Make sure that you have fresh erasers that work well with no marks left behind. 112. Don’t Forget the Essentials: Don’t forget the essentials like your SAT admission ticket or personal ID. You technically are not required to have a calculator, but it is a necessity if you want to be on the same footing as the other people taking the exam. 113. Sit in a Front Corner Spot: The best spot to sit in the exam room is in a corner desk in the front row. If you are in this spot then you cannot be distracted by anyone behind you. And, if you are in the corner then there is no one sitting on one side of you. Turn your attention to this side and no one should be ab;e to distract you from the exam. 114. (NEW!) Don’t Get Distracted by Other Students Finishing: Other students finishing can sometimes be distracting. You may wonder to yourself if you are doing something wrong if others are finishing early. Just do your work and do not focus on others. 115. Steer Clear of Nervous Energy: It can be easy to get bad energy off of others. Before the exam stay near others that are confident in their test taking abilities. Being anxious or nervous before the exam does not lead to a very good score. 116. Avoid Screen Time the Night Before: The blue light from a computer screen or phone can cause your natural body clock to get out of wack. This may make you stay up later than normal ruining that much needed sleep. 117. Bring Layers: You can never be certain that the test center will have a temperature that is to your liking. Bring layers to make sure that you can put them on or take them off to keep yourself at the perfect temperature. It can be difficult to concentrate when you are too cold or too hot. 118. Have a Good, Healthy Breakfast: Breakfast is the most important meal of the day and that certainly is no different on the day of your SAT exam. You want to get a meal that will not leave you to crash in the middle of the exam. So, eat up protein and fats and not too many carbs. 119. Bring a Watch: The test center is not required to have a clock in the exam room. To make sure that you know how much time is left, bring a watch. This will allow you to better pace yourself throughout the day so that you do not wear out. 120. Get a Good Night’s Sleep: A good night’s sleep is essential to a good day of test taking. Being more awake and alert makes it a lot easier to focus on the exam, thus leading to a higher score. 121. Bring a Bottle of Water: Sometimes you can get thirsty for the exam during the regular testing periods. Don’t let yourself become distracted because you do not have a water bottle on hand. 122. Do Not Cram the Night Before: It can be easy to want to cram the night before the exam. A lot of the time this cramming will hurt you more than it will help you. Never stay up late to cram and never try to outdo yourself the night before the exam. This can only lead to disaster. 123. Get to the Test Site Early: Make sure to get to the exam site early to relieve a lot of the pent up stress before the exam. Once you figure out your testing location and become acclimated, you will become more comfortable and less stressed. 124. Bring a Snack for the Exam: Not everyone is a morning person. One of the best ways to help with this is to bring a snack or 2 to the exam. Snacks can do a lot towards helping us to get energy when we are tired or when we need more focus. I hope to update this list periodically in the future with new tips and test taking strategies that my readers come up with. Of all the tips and suggestions in the article, my favorite one is the first tip to keep practicing. Like it says, practice makes perfect and I think this is especially pertinent to test taking. My son tells me about how he feels like he isn’t very good at testing, but I’m sure he would feel more confident if he were to spend more time practicing. Wow! !Such a fantastic tips for SAT.The writing section tip was beneficial.I just loved reading this blog.I will bookmark this blog for my future reference.Thanks for the lovely share. Not a easily pass out SAT exam. Practice is most important for passing. Most of students is afraid because lots of stress. I read your blog and you given right point share for this exam. All points are valuable and important. Thanks a lot for this beauty Enjoying article with me. I appreciate it very much!